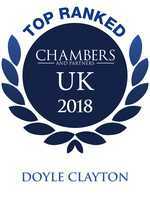 Doyle Clayton Solicitors Limited (trading as Doyle Clayton Workplace Lawyers) is registered as a Limited Company in England and Wales under number 6963121. A list of Directors is displayed at the above office. A partner refers to a shareholder or director of the company or an employee who is a lawyer with equivalent standing and qualifications. 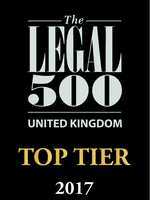 Doyle Clayton Solicitors Limited is authorised and regulated by the Solicitors Regulation Authority. Our SRA ID number is 518745. As required by the Solicitors Regulation Authority, Doyle Clayton has professional indemnity cover. Further details can be obtained from Karen Williams. If we have made contact with you by electronic means (including via our website or by email), you may be entitled to use an EU online dispute resolution service to assist with any contractual dispute you may have with us. In any cases (whether or not involving contact by electronic means), should your complaint not be resolved to your satisfaction, and should both parties wish to use an ODR or ADR approved body which is competent to deal with the complaint, we would in the first instance propose using Small Claims Mediation www.small-claims-mediation.co.uk. Any information given on employment or other law contained on this website is given in summary or is intended as guidance only. Anyone with a legal problem or issue, or wanting to understand how the law applies to them, should in all cases take detailed legal advice. The law is also constantly subject to change. What happens if you want to raise informal concerns about our service? We want you to be pleased with our legal service and to recommend us to others. If you have any concerns at all, please raise them initially with the person who has been advising you or with the client partner assigned to your matter. We will always aim to resolve any concerns informally where it is possible and appropriate to do so. How should you raise a formal complaint? If your concerns are more serious, and you wish to raise a formal complaint, you should do so in writing to our Compliance Officer for Legal Practice (COLP), Piers Leigh-Pollitt via email – pleigh-pollitt@doyleclayton.co.uk or by post to our Reading office at Apex Plaza, Reading RG1 1AX. Please write as soon as possible after the circumstances that give rise to the complaint, and in any event no later than 10 months afterwards. We may not investigate any complaints that are made outside those time limits and you also may lose the right to complain to the Legal Ombudsman if you wait too long to raise a complaint. As required by the Solicitors Regulation Authority (SRA) Code of Practice, we must deal with a client’s complaints promptly, fairly, openly and effectively. We are also obliged to provide information about our complaints procedure to our clients at the outset of their matter, and this is communicated in our client care letter. In practice, this means that we will usually acknowledge the complaint within two working days of receipt. In most cases, the COLP will investigate the complaint. If the complaint is about the COLP, the person investigating the complaint will usually be the Chief Executive Officer, Peter Doyle. The investigator will review your complaint with the person about whom the complaint is made, and will look at all necessary papers and records and make any other necessary enquiries. He may ask to meet with you if it would be necessary or desirable to do so, in order to resolve the complaint. In our response we will set out the investigations that have been made and set out our conclusions in relation to each aspect of your complaint. If we conclude that our standards have fallen short of your expectations, we will explain what we believe went wrong and propose one or more remedies to you. We do not charge for responding to complaints. We will always respond substantively to complaints within 56 days of receiving them, in line with the Legal Ombudsman’s expectations. Wherever possible, we will respond sooner. If your complaint relates to our fees, you may also have the right to challenge our fees by applying to the court for an assessment of the bill under Part III of the Solicitor’s Act 1974. Please note that certain time limits apply to these procedures. Please note that we do not have an internal appeals process if you are dissatisfied with our response. You may nevertheless have the right to complain to the SRA (if the complaint concerns the breach of SRA principles such as dishonesty or losing your money) or the Legal Ombudsman (if the complaint is about poor service, including complaints about fees). This right is available to all individual clients and to some organisational clients. Please be aware that the Legal Ombudsman has published certain rules on its website in relation to complaints, including rules as to who can complain, what they can complain about, the time limits within which to complain. If you do wish to complain to the Legal Ombudsman, you must do so within six months of receiving our response and within six years from the date of the act/omission, or three years from when you should have known about the complaint.